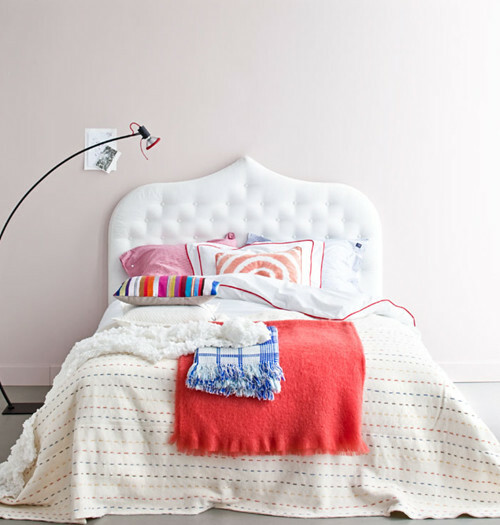 Today’s post is all about beds. All these beds are different in shape in style but they all have in common that they have a headboard. Which one is your favorite? I like the iron bed in the image above as it has a more romantic, country style look. This bed (above) with yellow and golden touches brightens up the room. 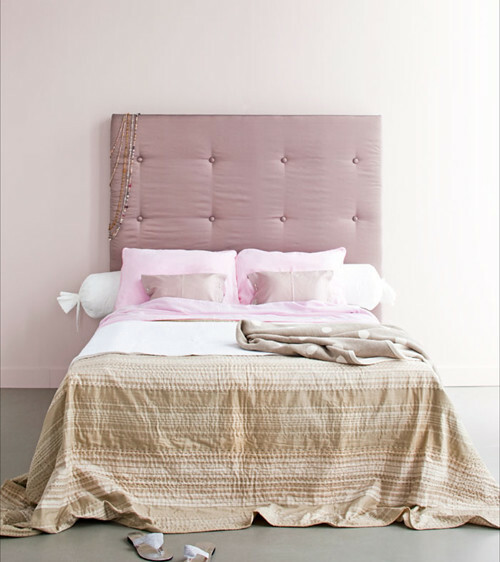 The pink bed in the image above has a more glamorous feel to it. The head board below is made from felt and looks warm and cosy. I love the top one, but I think the wooden curved one is my favourite! 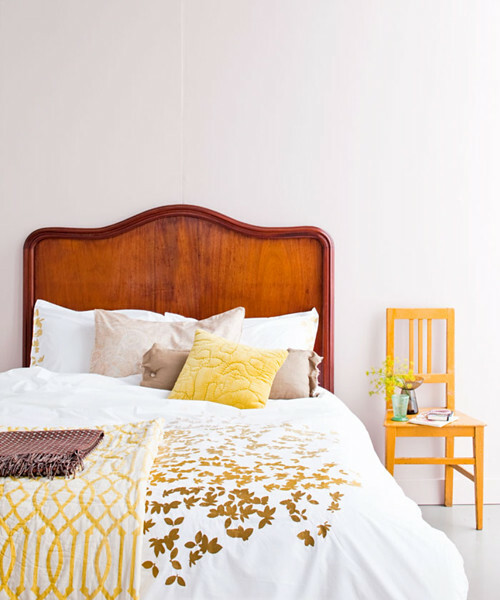 I love my own headboard best – do you mind if I post a link to it? I just bought a beautiful five panel heart pine antique door that is being made into a headboard this week. I’ll post pictures when it is done! I think the first tufted one is my favorite. But, I’m torn, as the felt one is unique and so cozy looking! Does anyone know the name of the company that makes the comforter in the 1st photo?